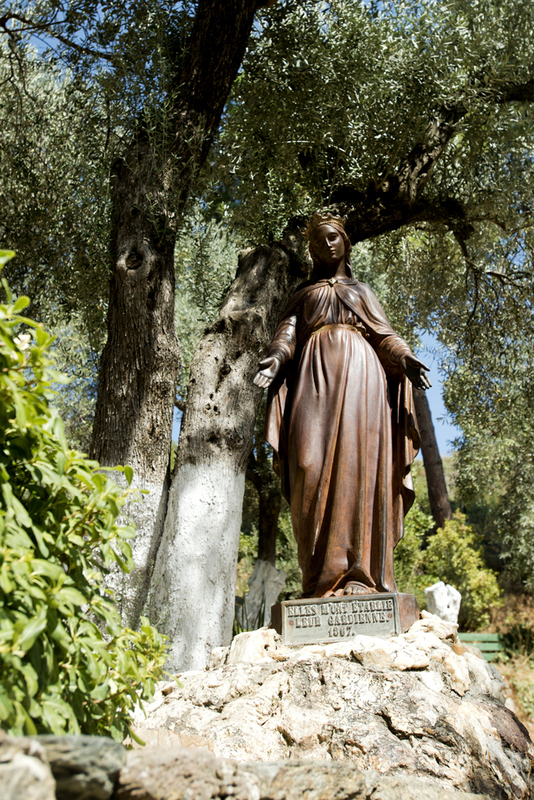 Statue of the Blessed Virgin Mary in her house exterior. 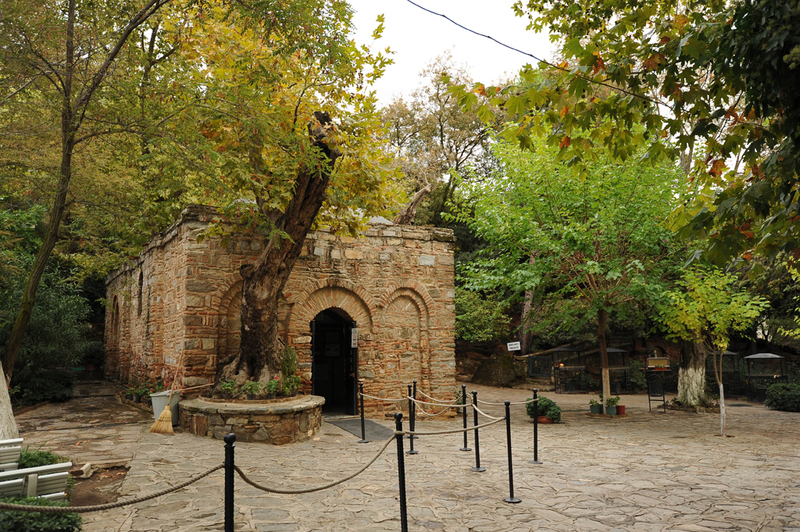 The House of the Virgin (Meryemana in Turkish), located in a nature park between Ephesus and Seljuk, is believed to be the last residence of the Virgin Mary, mother of Jesus. 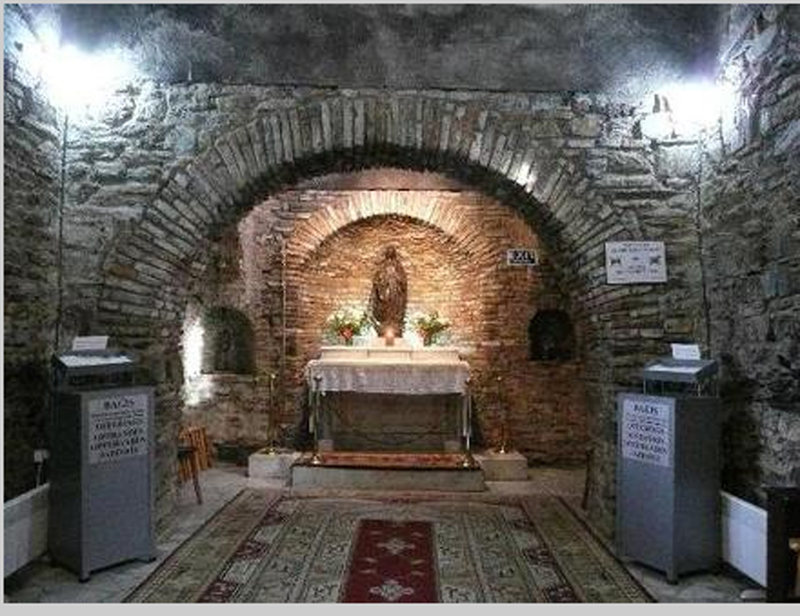 The peaceful site is sacred to both Catholics and Muslims, (Muslims also believe in the virgin birth and honor Mary as the mother of the Prophet Jesus and given the emphasis placed on the Virgin Mary in the Qur’an.) 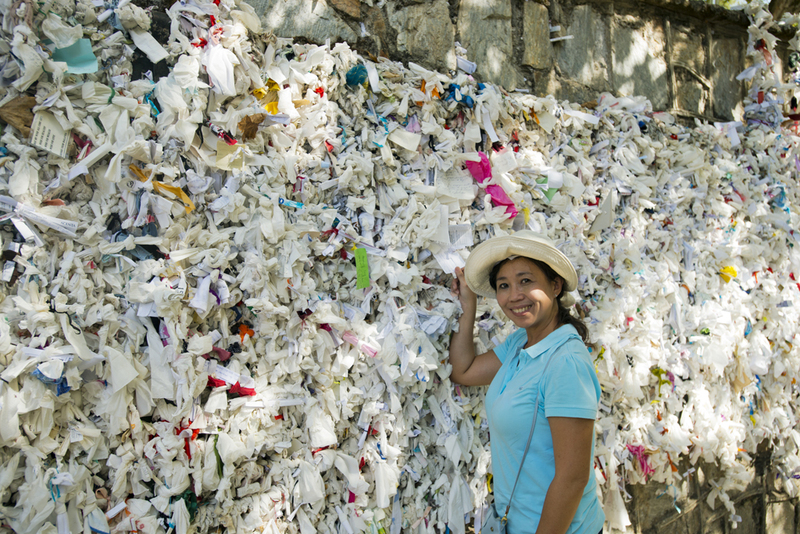 and is visited by many tourists and pilgrims. 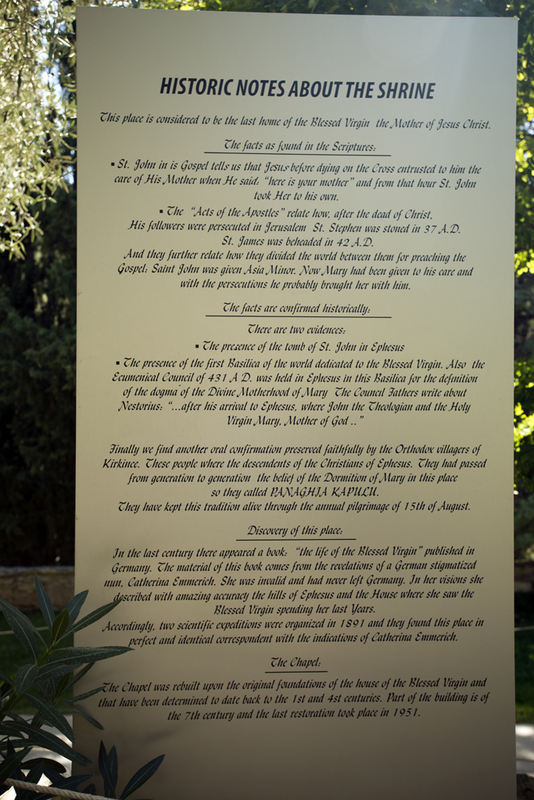 Catholic tradition associates Mary with Ephesus because at the time of his death, Jesus put Mary in the care of John, who then spent many years spreading Christianity in this region. The shrine itself is not extensively large, but may rather be described as a modest chapel. 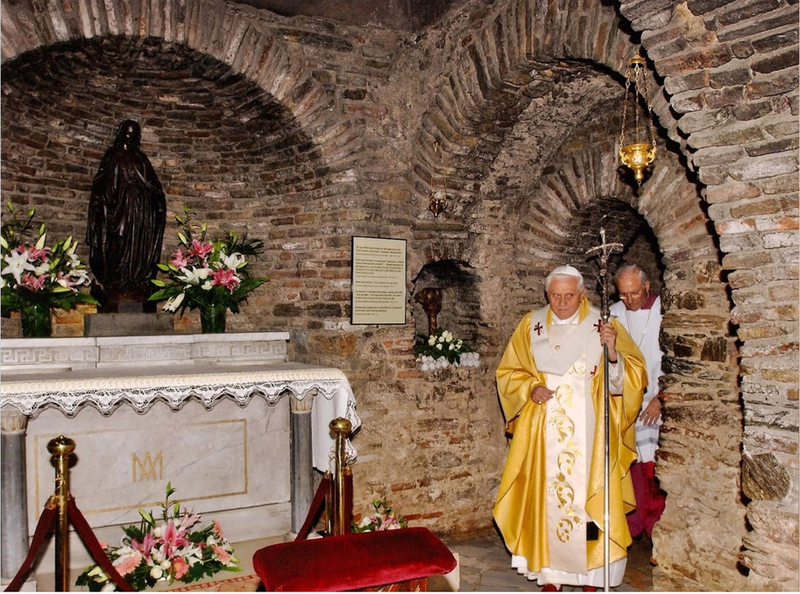 Upon entrance to the chapel, a pilgrim is met by one single large room where an altar along with a large statue of the Blessed Virgin Mary is prominently displayed in the center. 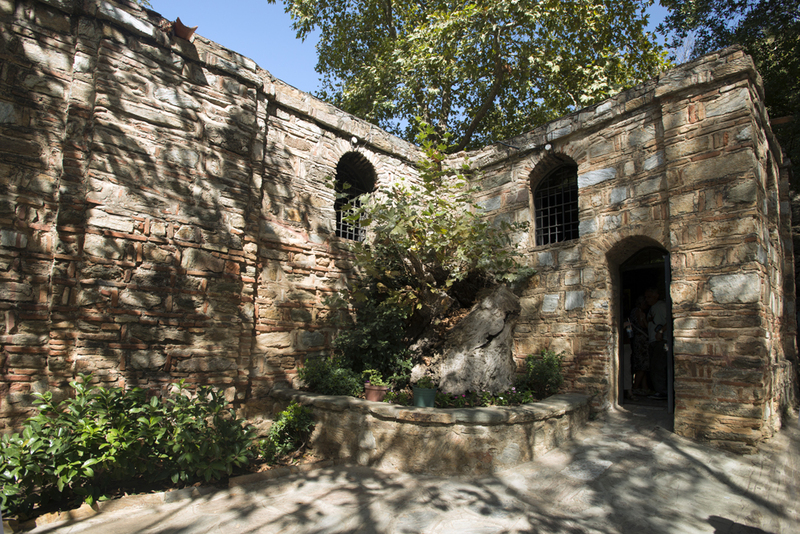 The small, T-shaped stone building consists of a bedroom on the right side — traditionally associated with the actual room where the Virgin Mary is believed to have slept, and a kitchen (on the left). 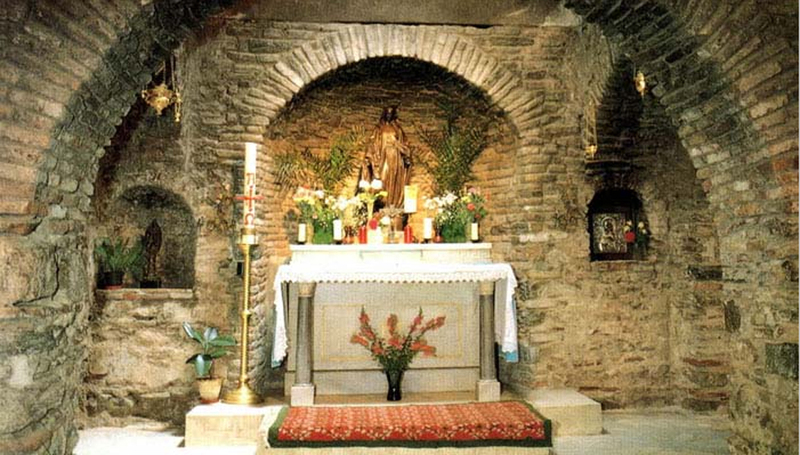 The interior is kept simple and austere, fitted only with an altar, images of Mary and candles. Some visitors choose to kneel in front of the alter instead. The alter has a small statue of Mary surrounded by colourful bouquets of flowers. Photography is not allowed inside the chapel. 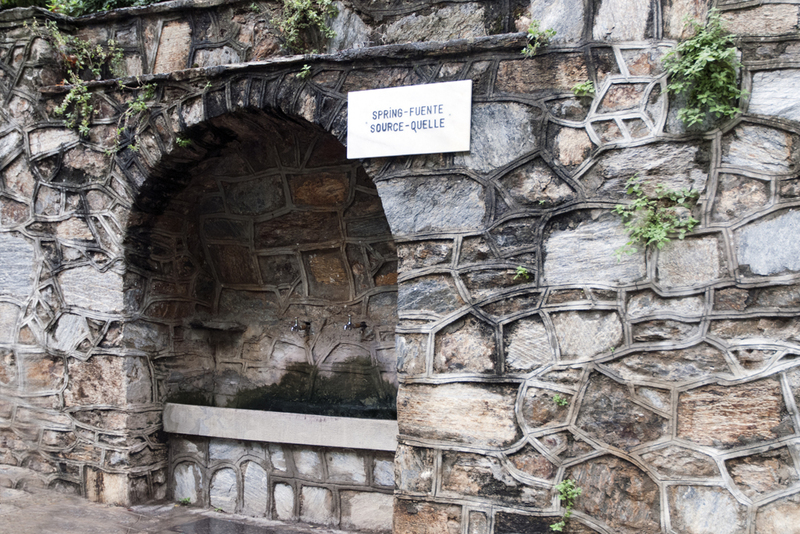 The spring is found at the exit of the church , a rather salt water, and can be drunk and is believed to have miraculous powers of healing or fertility, and many miracles have been reported. 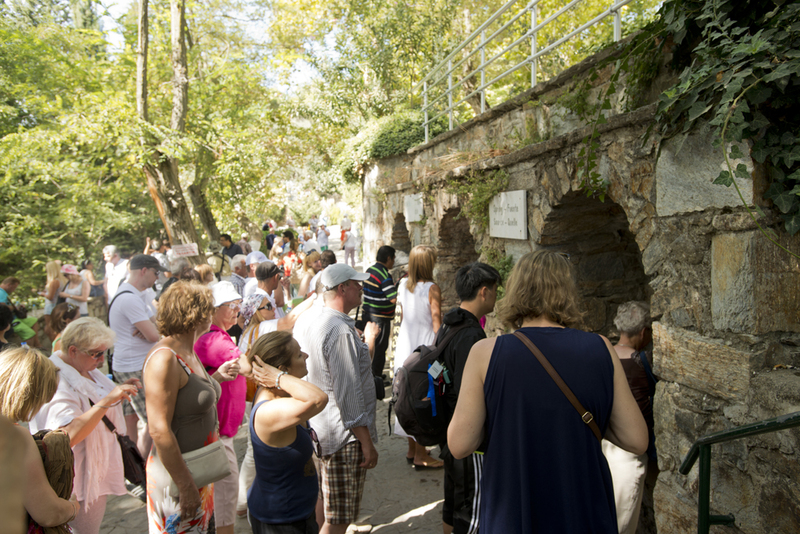 Inside the house are crutches and canes said to be left behind by those who were healed by the sacred spring. 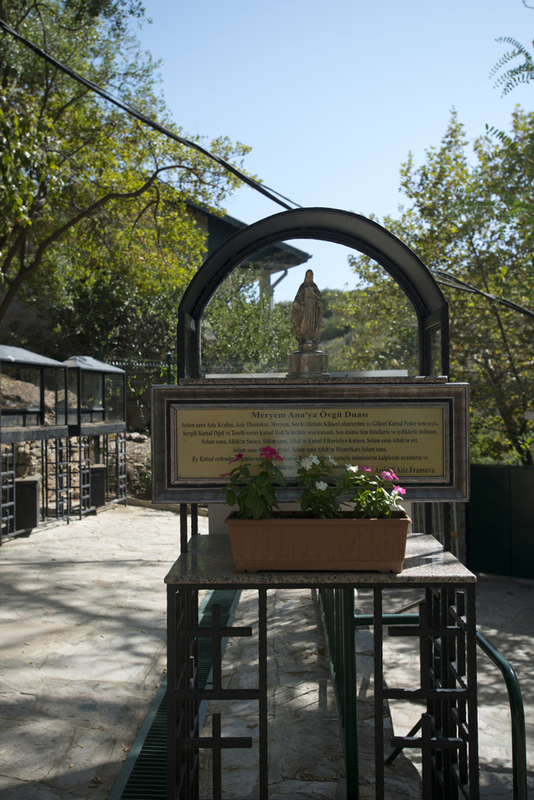 A liturgical ceremony is held here each year on August 15, Catholics and Muslims gather at the shrine to commemorate the Assumption of Mary.